An anonymous blackmailer has caught at least two YouTube creators in a scheme involving cash ransoms and esoteric copyright laws. Last week, both creators shared stories of how their channels were being threatened with a third copyright strike — and the possible termination of their channels — from an anonymous extortionist. The scammer offered to reverse the strikes in return for payment to a bitcoin wallet (which, as of this writing, remains empty) or to an adjoining Paypal account (that has since been deleted). “We’ll give you a very short amount of time to make your decision,” they added. Copyright strikes serve an important purpose for YouTube, preventing protected material — from pop songs to movie clips — from being used without authorization. YouTubers served with one or two strikes automatically have the offending videos deleted, and can also have certain channel features, like the ability to monetize, restricted in the long term. Getting those privileges back can take months of work, especially for smaller channels that are often overlooked in favor of their larger or more popular counterparts. This isn’t the first time that Youtube’s less-than-perfect copyright system has stabbed creators in the back. The platform’s hands-off approach to moderation has allowed copyright trolls to thrive for years — not only to extort money, but to doxx, slander, or troll. They can also be used to suppress negative news; some companies have served comedians with copyright strikes in an attempt to stifle any videos mocking their brand. Troublemakers have also used YouTube’s copyright system to phish or doxx smaller channels. In order to submit a counterclaim, YouTube’s policies dictate that a creator must provide their personal information to the channel filing the claim, which can open the door to real-life harassment. This isn’t the first time we’ve seen extortionists take advantage of the platform. Similar cases of smaller channels being conned out of cash through the platform’s strike system have cropped up more than a few times on the site’s help forums. When official channels stall, those forums are often the only recourse victims have. In his video, ObbyRaidz mentions that his attempts to contact YouTube personnel have all come up short, and any attempts at repealing the strikes were denied. Those who are able to appeal the strikes don’t have it much easier. The process, when successful, can take at least a month — and during that time, “you can’t upload at all,” according to Pierce Riola, a voice actor whose YouTube channel been hit by similar extortion scams in the past. 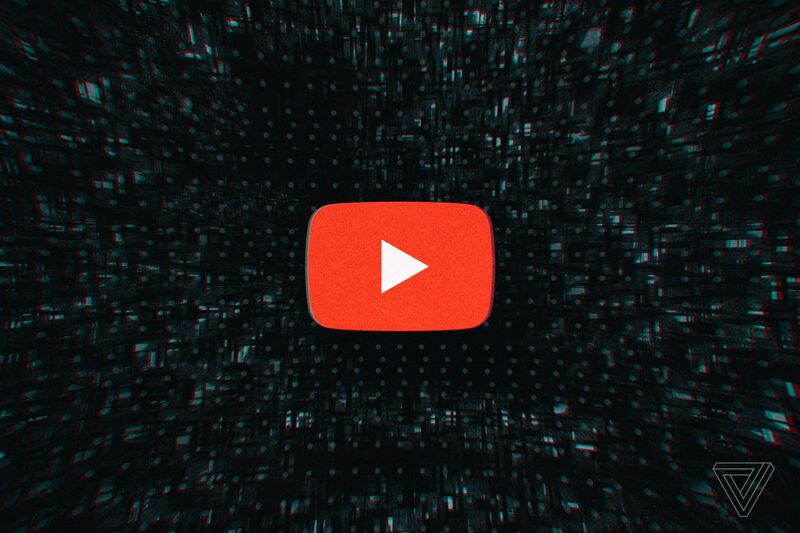 Some creators — including Pierce — have reported that YouTube’s algorithm can “punish” channels that take breaks from uploading for an extended period of time, relegating them to the back of the feed where their content is less likely to surface. A smaller channel that’s stuck battling malicious copyright claims instead of uploading, he added, could suffer almost as much damage as if the channel was deleted outright. Whatever strikes the extortionist brought on have now been reversed, according to a series of tweets aimed at ObbyRaidz and another creator, KenzoOG. “Both strikes are resolved and the videos reinstated,” YouTube said, in a thread on ObbyRaidz’s twitter account. Reached by The Verge, the company confirmed that the strikes had been resolved. Still, the incident raises real concerns about YouTube’s ability to respond to copyright blackmail attempts. ObbyRaidz was unable to flag YouTube’s attention until thousands of retweets and hundreds of Reddit comments brought attention to the incident. Even channels with more than a million subscribers have only been able to get the platform’s attention in response to a viral tweet. The biggest problem is the structure of YouTube’s copyright system, which places most of its scrutiny on the accused rather than the accuser. As one Reddit user pointed out, this extortionist was able to carry on an extortion scheme from a recently created YouTube channel with no videos, made from a throwaway email address, easy to create and easy to identify as suspicious. As Bridy put it, the problem is incentives: YouTube has a lot more to lose from angry copyright-holders than angry users. Movie reviewers on the platform who have found their channels bombarded with copyright strikes from Universal Pictures, for example, after including clips or stills from a particular Universal film in their reviews. Even after claiming that these clips were protected as fair use, some found that YouTube ultimately sided with the company rather than the creators.